As a moderator/founder of a vibrant online social health community: cysticfibrosis.com, I can attest to hundreds of messages in which cystic fibrosis e-patients discuss their PFTs (pulmonary function tests). Members are so in tune with these numbers, they often add them to their signatures along with their genetic mutation codes. 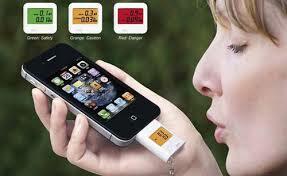 Imagine how 21st century, powerful and logical it would be for the patients to own their own spirometers. Instead of waiting to visit a doctor four times a year to have the number read, they could trigger their own digital device, monitor their own lung capacity and then beam the results to their doctors and maybe even their social community. In a recent survey, we found 75% of the members had experienced the shock of lower numbers than they expected, when measured quarterly at their CF centers or doctors’ offices. Now, with telemedicine, these numbers can be marched into data banks in the cloud where they are compared to other patients with their medications, genetic mutations, environmental triggers and more! The latest smart home/personal spirometers are an incredible aid to the “research laboratory” that is each CF patient, with a battery of 131 medications and many different delivery systems. Their health care is 22 times more expensive than a healthy person and immeasurably more complicated. These latest spirometers are miniaturized and require little energy to operate, they have the power to bring the research laboratory to the patient in ways never before possible. 43% of our patients live 50 miles or more from the clinic and travel long distances to research facilities for clinical trials. My company, Medrise, designed and conducted a survey to evaluate the demand for and perceived benefits of home-based pulmonary function testing in patients with cystic fibrosis. This patient community with complicated lung-care needs, numbers about 30,000 in the United States alone and roughly 70,000 worldwide. CF patients typically undergo pulmonary function testing, also known as spirometry, at medical facilities during quarterly check-ups, during an exacerbation to gauge the severity of the decline, or after a period of antibiotic treatment in order to determine its efficacy. Depending on the extent of information sought, spirometry can take less than a minute and up to about fifteen minutes. The results, available immediately, reveal the degree of obstruction and restriction of air movement in a person’s lungs. Moreover, when compared with past test results, spirometry offers insight into trends in the patient’s condition. Personal spirometers are currently available for purchase, yet the majority of CF patients, as well as people with COPD and asthma, do not own one. We designed a survey to assess the CF community’s interest in testing and tracking their lung function more frequently and at home. Our survey was inspired by a study at Johns Hopkins which found that home spirometry twice daily could detect an exacerbation an average of 16 days before patients knew to seek care for their symptoms. We asked patients and caregivers who are members of the site CysticFibrosis.com for their thoughts and preferences regarding home spirometry. Five hundred patients and caregivers responded to the survey. After establishing the age, gender, geographic location, and some specifics about conditions and comorbities, we had the respondents rate their interest in using a spirometer at home, estimate how often they would want to perform the testing, and comment on the possible consequences of having access to home pulmonary function testing and tracking. • The ability to initiate treatment for exacerbations sooner, possibly avoiding some of the costly hospitalizations that are typical of cystic fibrosis. • An improved understanding of and motivation to complete the comprehensive daily treatment regimen for cystic fibrosis. • Enhanced ability to assess and manage the factors that influence pulmonary function e.g new treatments, pulmonary rehab, CF-related diabetes, secondary asthma, hormonal changes, weather, and even home renovations. • More accurate information to offer medical professionals when experiencing an exacerbation or having a routine evaluation. • A stronger partnership with medical professionals. Our survey indicates a high level of interest in home spirometry. The majority of patients and caregivers believe that this relatively low-cost device has the potential to improve their condition, be cost-saving in the long run, and enhance their relationship with their doctors. • Accuracy: A few survey respondents weren’t sure they or their children would know how to use the device and questioned if the data would be accurate without professional administration of the testing. • Interpretation: A small number of survey respondents questioned whether they would be able to interpret the significance of trends in the data—whether a change was large enough to be meaningful, and how to interpret changes in conjunction with other symptoms. Like other home-based durable medical equipment (nebulizer/compressors, high-frequency chest compression systems, oxygen therapy, blood-glucose monitors), home spirometry will require an instruction and learning phase in order to be used accurately and with confidence. Patients and caregivers need brand-specific videos and manuals for training in technique and as an on-going reference. We are confident the testing at home, which involves inhaling as deeply as possible and exhaling as forcefully and for as long as possible, can be done as accurately as in the office. The second concern of patients and caregivers—that the data will be difficult to interpret and could lead to inaccurate panic or disregard—is also a function of training. Patients and caregivers will need to be instructed to use their spirometer in conjunction with their analysis of other symptoms (fever, weight and appetite, mucus production and cough, oxygen levels). When making an appointment with a doctor to analyze an exacerbation and decide on a course of action, the trend in spirometry leading up to the visit can be combined with other information (radiography, sputum cultures…etc.) to create a more clear picture of the situation. In the presence of these concerns, the majority of CF patients and caregivers still believe they will benefit from and be inspired by being able to track their pulmonary function more closely and how it interacts with their complicated care regimens (airway clearance, inhaled and IV antibiotics, nutrition and weight maintenance, diabetes management, allergen avoidance, exercise…etc.). Home spirometry will provide deeper data to patients and medical professionals for more knowledgeable decision-making and, according to the study by Johns Hopkins, it may alert patients to exacerbations over two weeks earlier than without home spirometry.